We have a number line. We add to it as needed. Right now it’s up to forty-five. Eventually we’ll make it to 100 and it will start in the living room and end in my bedroom; the thirties on the stairs and the eighties in the bathroom. Everyone uses it; the three year-old for simple counting, the first grader and third grader for skip-counting (and they can really skip–sort of) and walking out their addition, subtraction and multiplication. I like getting them off their bums and in motion, their little feet tracing a numerical path as they forge and strengthen new ones in their brain. Counts by ones from one to twenty, stepping with both feet in front of the number as she says its name; then she does the same counting backwards from twenty to one. If she’s feeling really sassy she can bunny hop or hop on one foot from number to number, but she has to be in front of the number as she says it. “Find the number” — I call out a number and she has to find it and stand in front of it as quickly as possible. Then I may ask questions or give directions like, “which number is next” or “move forward two numbers and tell me what number you’re on now”. Counting objects — I grab a handful of small items (pennies, paperclips, tiny toy dinosaurs, etc) and she has to count out the appropriate amount for a number that I select. Then I will ask what she can do to that group so that she has the correct amount for the next number on the number line (or the previous number). 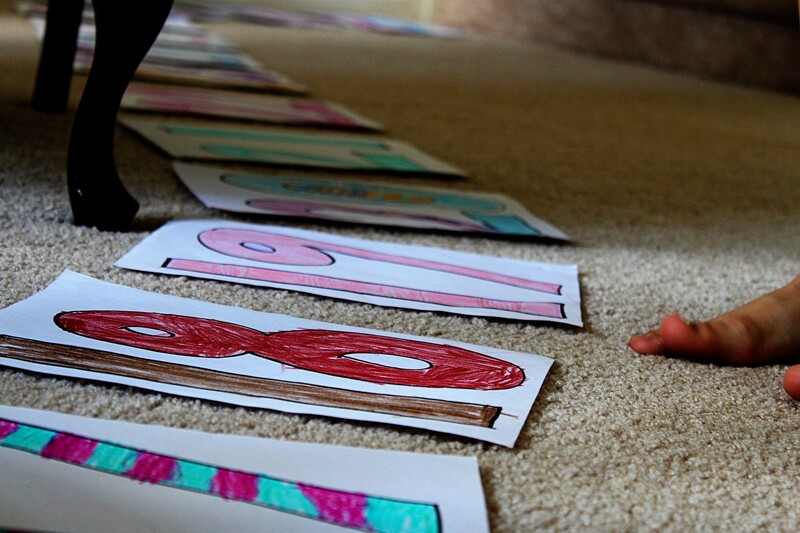 No matter their age, everyone’s time with the floor number line ends the same way: “countdown and blast off!” This simply means counting down to one, yelling “blast off!” and running wildly around the house making any number of imagined rocket-like sounds. This was a very easy, very inexpensive solution. But when I wanted a large number line for math work, an alternative to the “hundreds chart” that my little students use individually, I was stumped. Nobody would appreciate one in their bedroom and I wasn’t about to slap one up on the dining room walls! All this requires is floor space. Don't concern yourself with one straight line. Ours usually snakes all over the house! The solution turned out to be easy and unexpectedly fun. 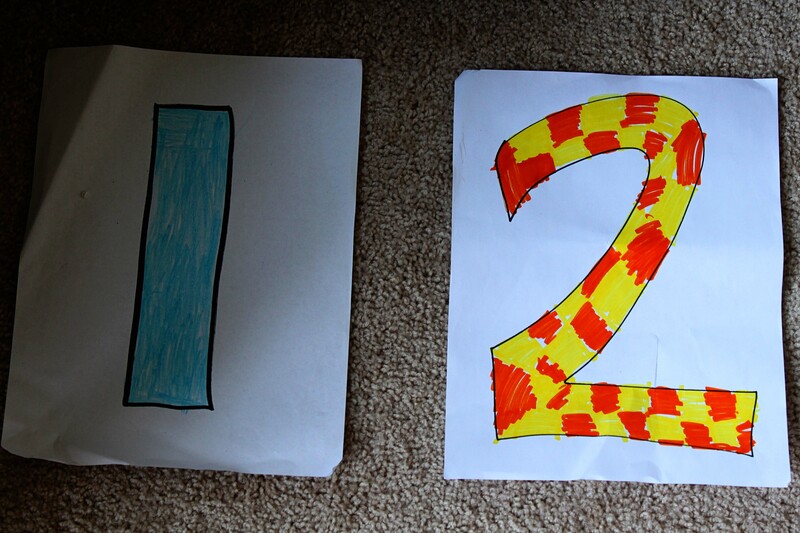 I grabbed a stack of white printer paper and a magic marker and began outlining numbers. We laid our number line out on the floor and got down to the business of mathematics! The kids love working with this number line. 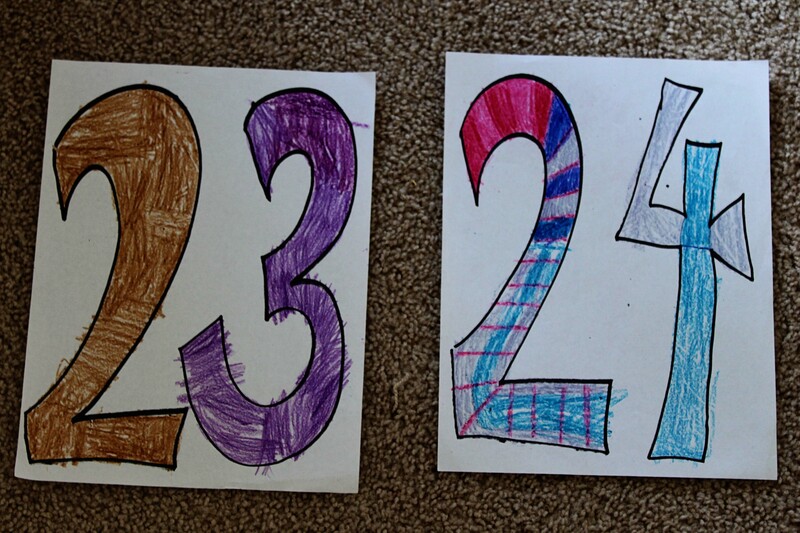 In their spare time the kids colored in the numbers until we had a unique, colorful number line that showed glimpses of their separate personalities from beginning to end! Next time I’ll share some of the ways our kids–3,6 and 8–use this number line with their mathematics. Reading aloud is a great way to make time for your favorite books while you're busy with an infant! J has provided an excellent response to your question so I will just add a thought of my own on teaching approaches and offer some examples of how we have implemented the priorities J described. As far as teaching philosophies, etc. related to reading, I confess more ignorance than knowledge. The few times that I have looked at teaching materials (for reading) whether through my own research or because I am in discussion with other homeschool moms, I eventually feel a little brain-numb. Based on my own experience it all seems so unnecessarily complicated! I think a fair comparison is teaching one’s able-bodied toddler to walk. You don’t sit them down, show them pictures of kids walking, talk to them about walking, give them walking workbooks in which to scribble…you provide them the proper environment and encouragement from tummy-time at infancy through rolling over, pushing up and crawling, to wobbling along while holding onto your fingers around age 1 (or so.) And so it goes with reading! We read to our kids as soon as they’re born. I like this experience because I’m not concerned with anything except that they hear my voice reading aloud, so I can read whatever I want to read! 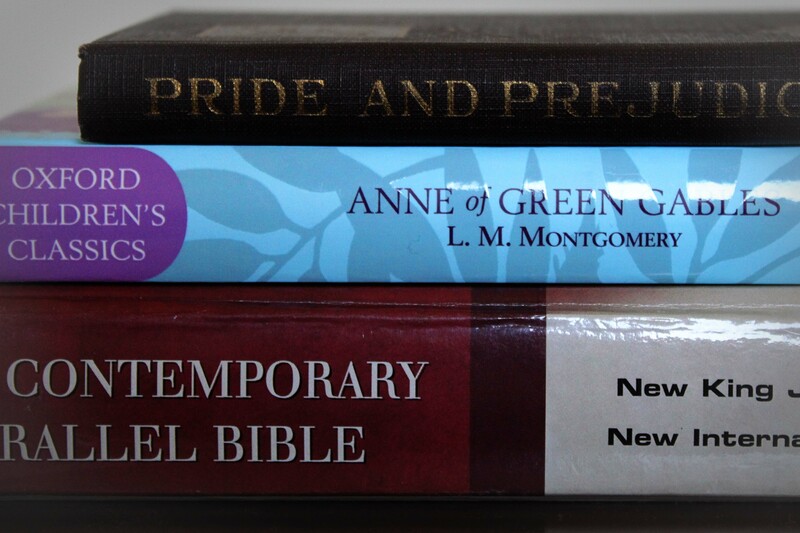 I specifically remember reading scripture aloud to all of the kids, Anne of Green Gables with my son (sorry, buddy!) and most recently, Pride and Prejudice with Z. As soon as they are focusing enough to look at a book, then I start using the typical infant/toddler board books. At this a ge, I try to read to them 5-10 minutes a day, but in addition I may read aloud bits from my own books and almost always have the child near when I am reading aloud to the older kids. By the time they’re two, we’re regularly reading story books, nursery rhymes and Dr. Seuss. By now read aloud time has extended to 30 minutes a day. (I definitely break that up throughout the day!) 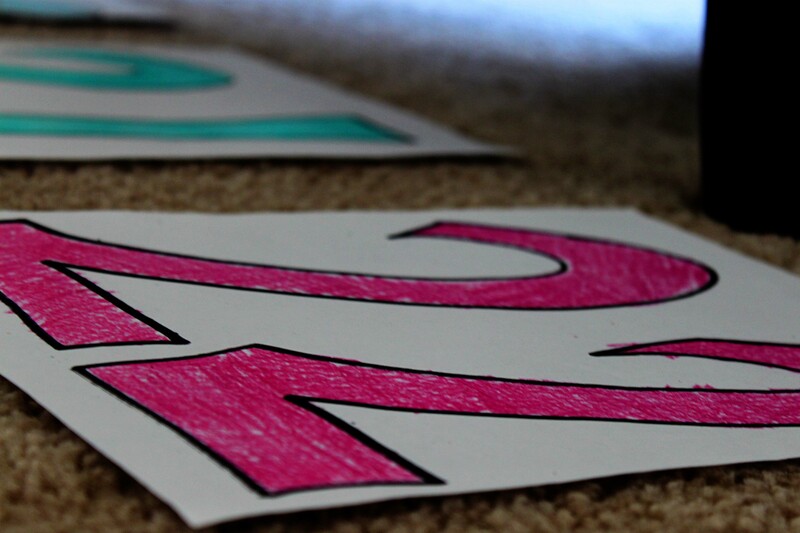 Also, we’re starting to spell out the titles of books or simple words, having the kids say the letters with us. This is when they start to recognize letters–very fun! As J mentioned, kids love to “read” books by themselves, and you’ll soon witness S “read” an entire book that she’s memorized because she’s asked you to read it to her so many times! (Maybe she’s already doing this–knowing her parents, we’ve no doubt that she’s brilliant!) One thing I’ve found that encourages their own reading is to read a couple of books aloud to them, then have them sit near me with their own stack of books while I read my own book. This is firmly labeled “quiet time/reading time”and even the little ones will sit quietly for some time and “read”. One final practice that really helps them start to “break the code” of recognizing letters and simple words: after you have read a favorite book over and over, start to fall silent when you come to key words, and simply point at the word and ask if they know what comes next. 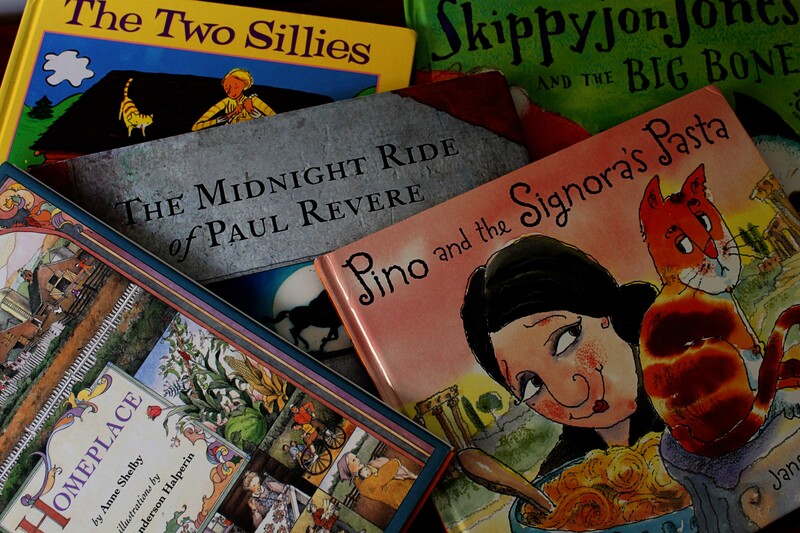 This is really easy to do with things like Dr.Seuss and Mother Goose. They’ll love helping you read! A tiny sample of our favorites. Ok, if you’ve endured the e-mail this far, then I’ll end with this: we try to expose our kids to good writing; quality stories, interesting characters, and beautiful language. I have heard many times from various teachers and parents some variation of this claim, “it doesn’t matter what they’re reading, as long as they’re reading.” But I don’t know any way for our kids to learn about and learn to appreciate good literature if they are not regularly exposed to it by parents who also appreciate it; nor how they can develop a mature, extensive vocabulary without being exposed to a variety of words in appropriate context. We keep it simple. I plan challenging physical activities, or the kids participate in organized, professionally directed programs. Sometimes we do both! 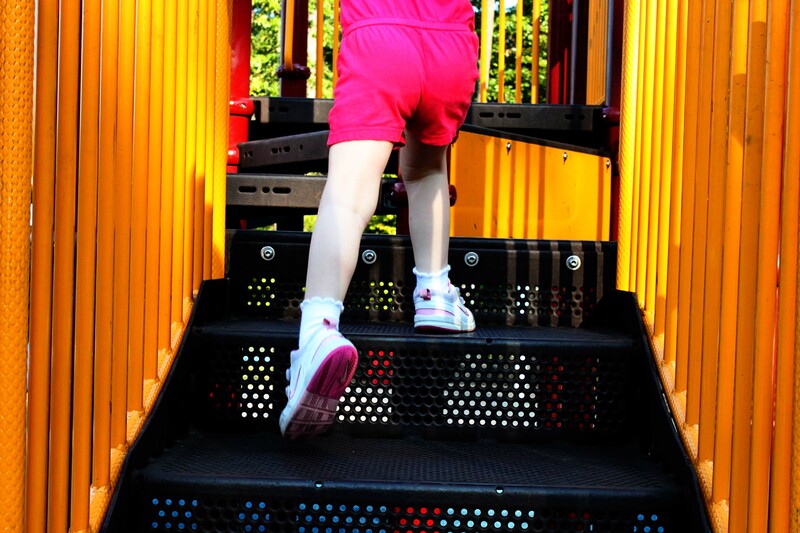 A fun playground: climbing, swinging, sliding, running, rope ladders, balancing bars...the physical challenges are enough to keep them moving for at least an hour. Playgrounds are a favorite P.E. location. If the big kids get weary of their own play, I use the equipment to create obstacle courses and time them using the stop watch on my iPhone. The young one is never bored! 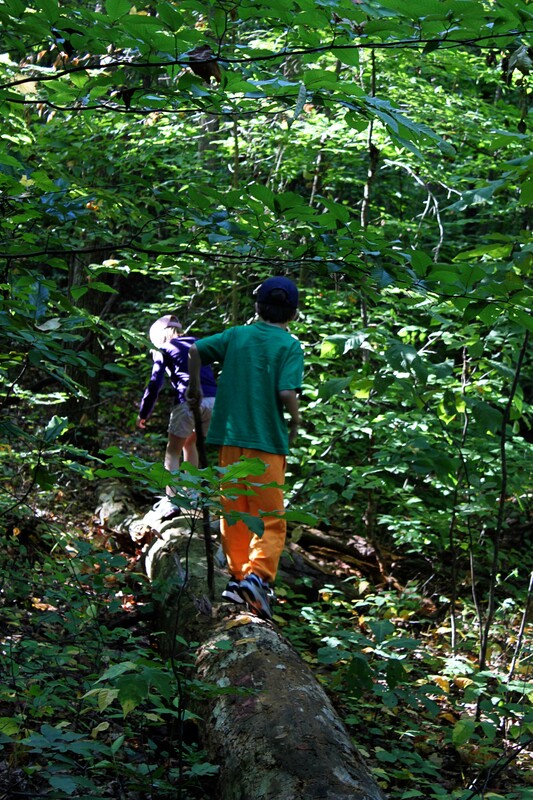 Nature preserves are another favorite location. 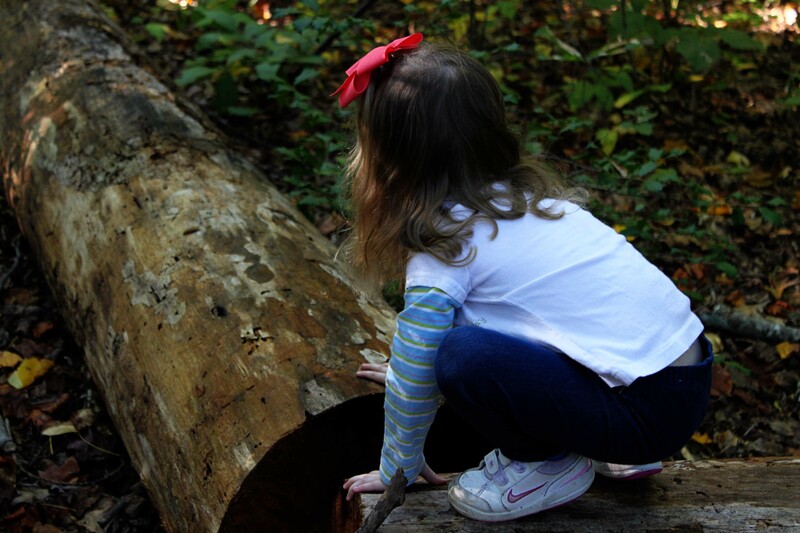 Opportunities for physical challenges abound and the kids are eager to find them! Of course, these locations have the added bonus of providing an outdoor classroom! 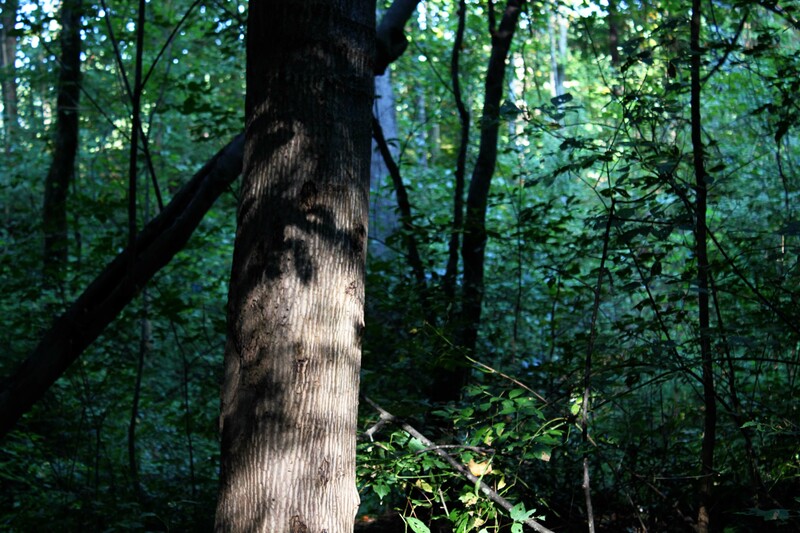 Sometimes I plan a science lesson or nature study to coincide with a good walk through the preserve. In terms of organized sports, our kids have participated in indoor soccer, wrestling and dance. But currently, I am directing their P.E. activities and having a great deal of fun doing so! (Hint: it’s even more fun if you participate!) I’ll post a follow-up soon in which I will detail our P.E. plan for this semester. I know K will answer you in full pretty soon. I will offer a theoretical perspective that will give background to the practices K will share with you. Reading proficiency has been well-researched; that research has revealed some important characteristics of a well-developed reader. 1. Reading is a decoding skill. The “key” to reading is to “crack the code” so to speak. This means that the young reader is figuring out how to separate and combine sounds. 2. Since the organization of sound is imperative to good reading, a child who “listens” to reading typically turns into a good reader. Therefore, part of (our family) reading program is to read to our children before they can read. This excercise does two things: (1) it familiarizes the developing mind to the sounds of words and (2) it models to the developing child that reading is valued behaviour in the home. Our kids see us reading all the time. They have picked up this habit. 3. 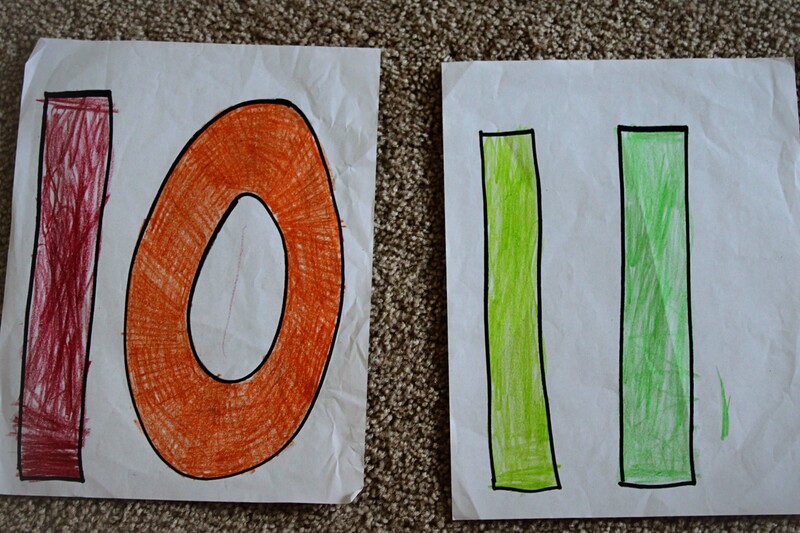 Vocabulary is increased when children make up and create words. For example, let’s say your child hears you read a simple Dr. Seuss book that repeats a rhyming sound: “the cat in the hat picked up a fat bat to hit a rat”. With the repetition of the “__at” sound the child will mimick and make up words…some that are real words others that are not. For example, you will hear, “nat, tat, gat, vat, sat, mat”. This should be encouraged because it is essential to the decoding process. There is more I can share when your children get older but the essentials from birth to about 4 years are listening to reading and mimicking reading. You may have noticed your 2-year old pick up a book and pretend to read…this is a healthy sign of good reading development. 2 may be a little too young, but you will see it as she gets closer to 3. Our 3 year old can’t read but she pretends to by opening a book and telling a story. K will probably mention a tv series called “Between the Lions”. http://www.pbs.org/parents/lions/program/ This educational show on PBS does a very good job of utilizing current research on developing young readers. Hope this research angle provides a good supplement to K’s response. That's me under there, being dashed against the rocks as I try to figure out how to explain the concept of "doubling" and wonder if my kids will ever remember that Toronto is a Canadian city and not one of our fifty states. Fortunately, no one drowned. It was a close call, though! A few things kept me afloat that first year: my husband, a gifted and experienced teacher, was (and still is) always ready to throw me a life vest, or sometimes just drag me into the life boat; my own persistent belief that our schooling decision was the right choice for us; and the homeschool community, particularly online. I’ve refrained from blogging about homeschool because, even after two years I feel unqualified to offer pointers. Most of the time I’m still thrashing around, trying to keep my head above water. But, I’ve been thinking about a few things lately. First, I’ve been tremendously blessed by the online homeschool community and there just comes a point when one has recieved so much that one feels compelled to join in the giving. So, I think I will! Second, who says I have to tell people the right way to do things? Maybe I need to share my failures. I can be the one to write “Here be monsters” all over someone else’s map! Third, so what if I’m not great at it all the time? I’ve had some success (we’re all still alive) and maybe my experiences can encourage someone else. 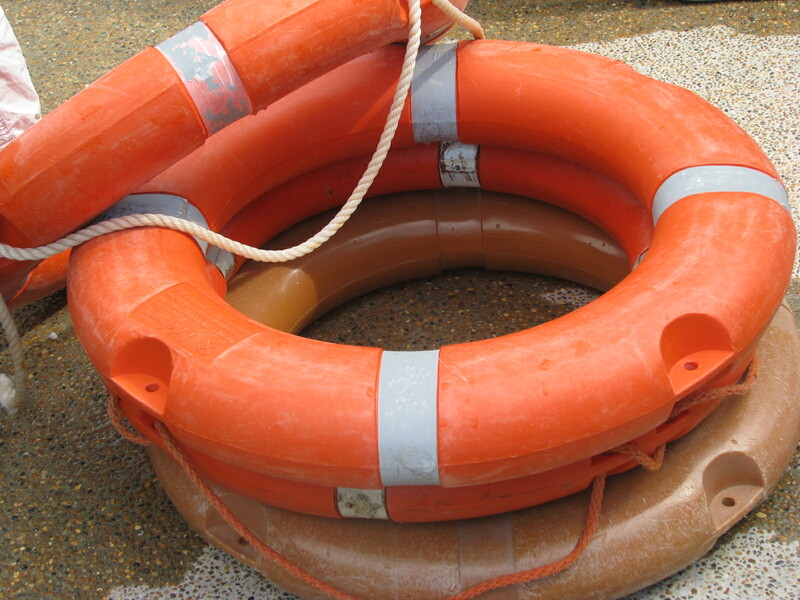 All I have to do is throw out a life preserver. I can do that.